A front entrance transformation in Austin, TX that takes these homeowners to a cherished memory in their lives. Once in a while Archadeck of Austin gets a front row seat on witnessing magic happen before our very eyes. This magic comes from an outdoor structure design that creates an emotional reaction with the customers. As is the case with these homeowners in the Circle C Ranch community right here in Austin, TX. We created a design rendering of the front entrance to their home that stirred in them memories and emotions that make this structure unforgettable. The homeowners both had attended college at St. Edwards University of Austin. The design rendering we created for their home immediately took them back to the front entrance of St. Edwards, where as it turns out, was the very place the husband had proposed to his wife, on those very front steps. The homeowners immediately said “I do” and decided to go forth with the design Archadeck of Austin had created that reminded them of that special place, at that special time. Home in Circle C Ranch before the new entrance was added by Archadeck of Austin. Their home, located in the Circle C Ranch community was a fairly large home. The original builder had done an average job on the entrance and the path leading up to entry was rather narrow, as were the stairs, and the front porch was railed with cedar. Archadeck of Austin was called in to open up the entrance with a new design that would add character and style to the home. 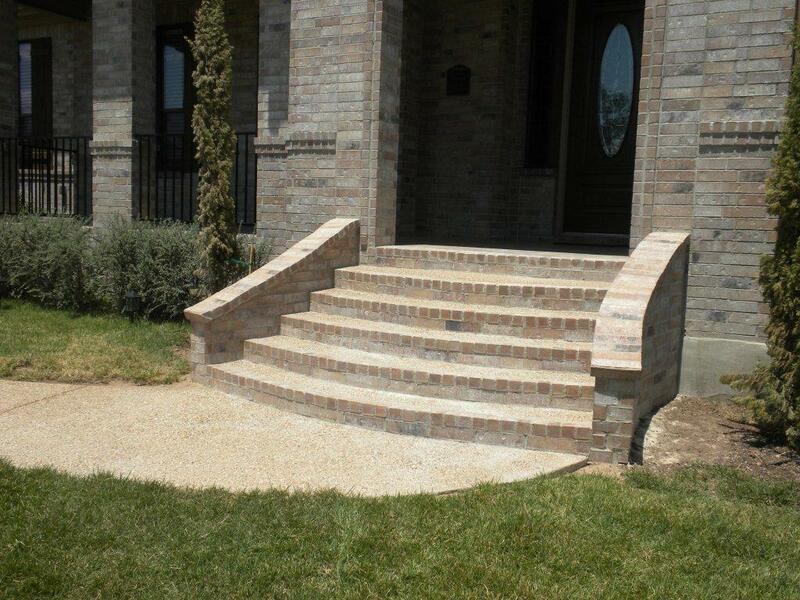 This photo shows the flared steps and wider, more welcoming entrance Archadeck of Austin created. We went over the plan using a 3-dimensional view. Archadeck of Austin added flared steps which would welcome guests with open arms. We also added an arch, added some sidewall to the narrow steps to amplify the foot room and changed the cedar railings to metal to increase visibility. 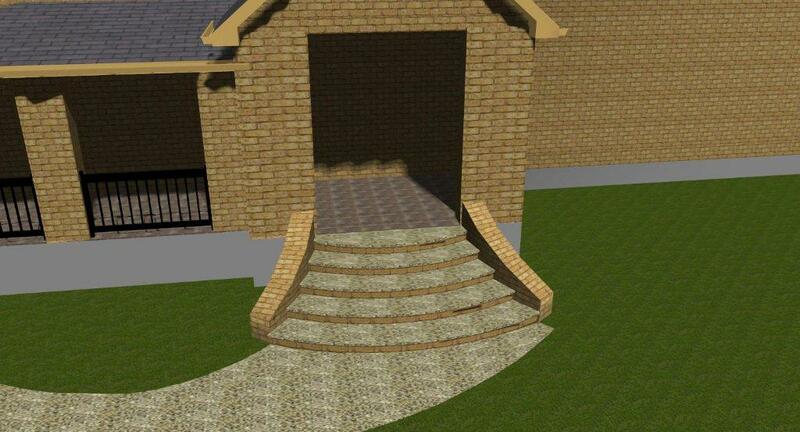 In order to achieve the desired effects we adjusted the steps, added a bit of deck and also added brick from the house. We used concrete aggregate to finish the sidewalk and add tread to the steps, as well as adding risers out of the same brick as the homes facade. 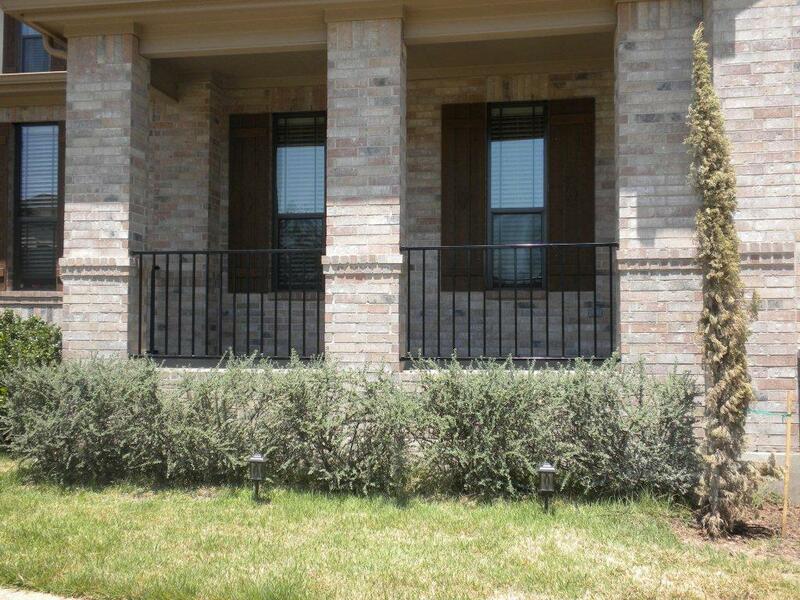 We used the same brick to finish the wall, and the railings we added were beautiful Fortress metal railings. 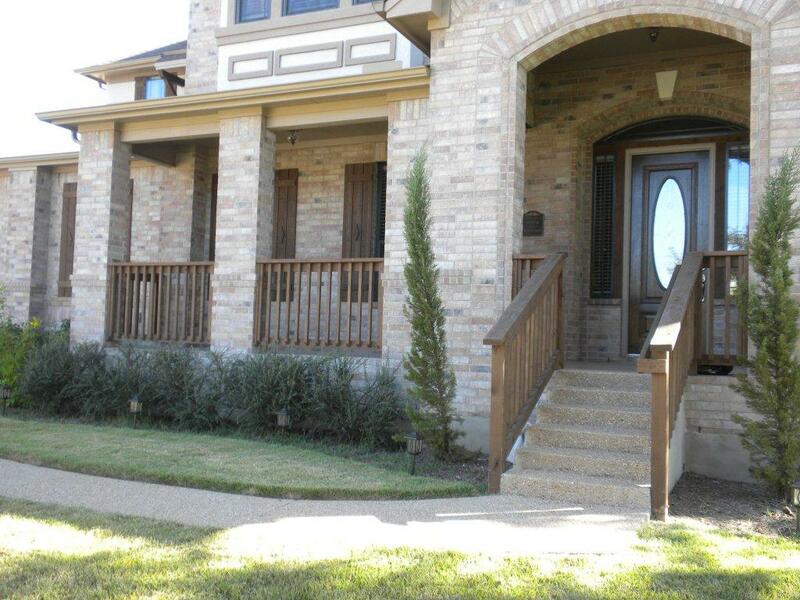 The finished entrance has metal railing to open the view from this lovely entrance by Archadeck of Austin. This finished structure is truly a beauty to behold, and one these Austin, TX homeowners can never forget. Archadeck of Austin was able to convey that romance and emotion they felt from many years ago into a structure they can enjoy everyday. An entrance transformation such as this is proof positive that Archadeck of Austin is more than just a backyard company. This entry was posted on August 10, 2011 by austinporchandpatio. It was filed under Covered patio Austin, Customer service, Decks, Front entrances, Professional Design Rendering, The value of a design consultant and was tagged with Adding a new entrance in Austin TX, Archadeck of Austin, Austin covered patio, Austin covered patio deck, Austin TX custom entryways, Circle C nieghborhood in Austin, Customer service, Fortress iron railings, Front entrances Circle C community, New front entryway in Circle C community in Austin TX, St. Edwards University of Austin TX, The importance of the design rendering, TX.